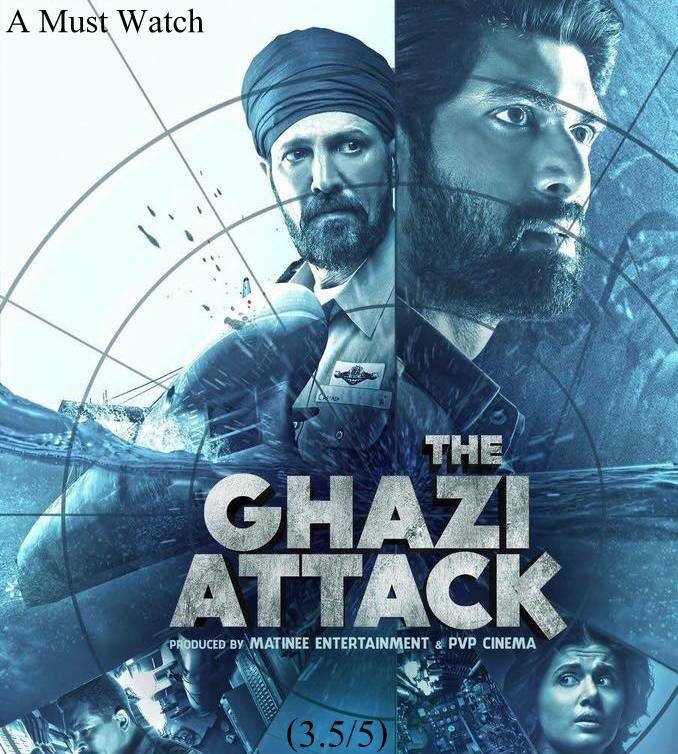 Cast: Rana Daggubati, Kay Kay Menon, Atul Kulkarni, Om Puri, Nassar, Rahul Singh & Tapsee Pannu. This is not going to take more than a 2 minute to read because I’m not gonna write an essay on why i liked the film. India ki Pehli Underwater war film hai on the mystery behind the sinking of Pakistani Submarine PNS Ghazi during the India Pakistan war of 1971. Film ka unique subject is a major reason of why I liked this film. Deshbhakti ki bhaavna iss kadar dil mei jaag jaayegi ki movie mei aate national anthem mei bhi aap khade ho jaoge aur Jai Hind ke 1-2 naare lagaaoge. 😉 quickly sharing my views. Best Part: Subject and Performance by Kay Kay Menon & Atul Kulkarni. Loved the most: Koi Faaltu ka scene nahi. Film cut to cut, point to point engage karke rakhti hai. Post interval its super mast. Appreciate: The Production design is up to the mark. Tamne aevu j laage ke jaane Submarine ni virtual journey karine aavya chho. Though Special effects could have been better but the detailing and the cinematography is impressive. Watchable or Not: Yes. Its a Must One time watch film. P.S Aisi Film ke Declaimer Bahot interesting hote hai.